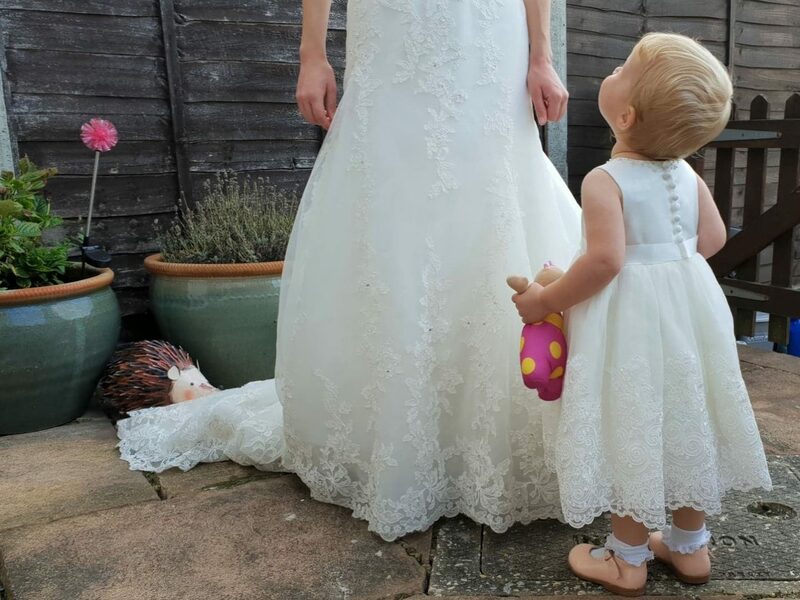 Autumn was sent the Sarah Louise Skylar dress in ivory. 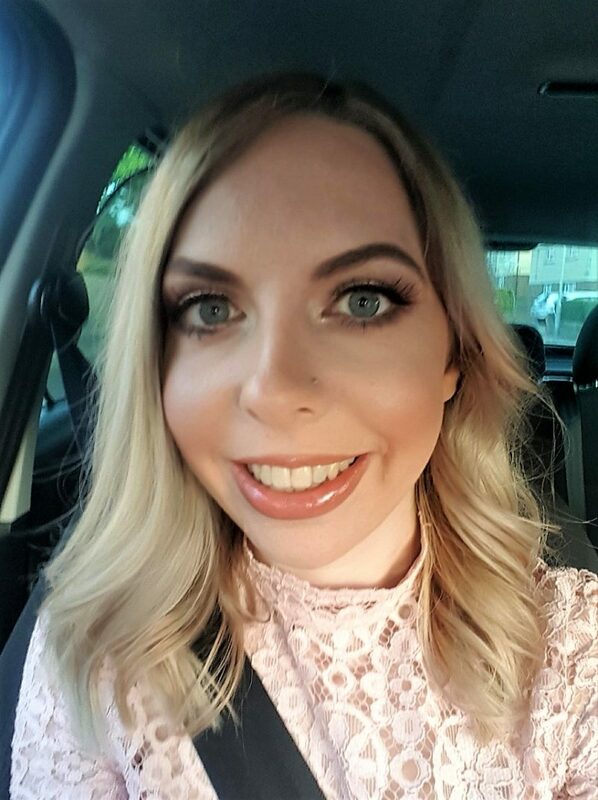 Whilst beautiful, the pictures on the website don’t do it justice. The pattern of the lace is gorgeous and the decoration around the neckline really adds something. On the website I hardly noticed it, but in real life it’s stunning with its little crystal and pearl beadwork. 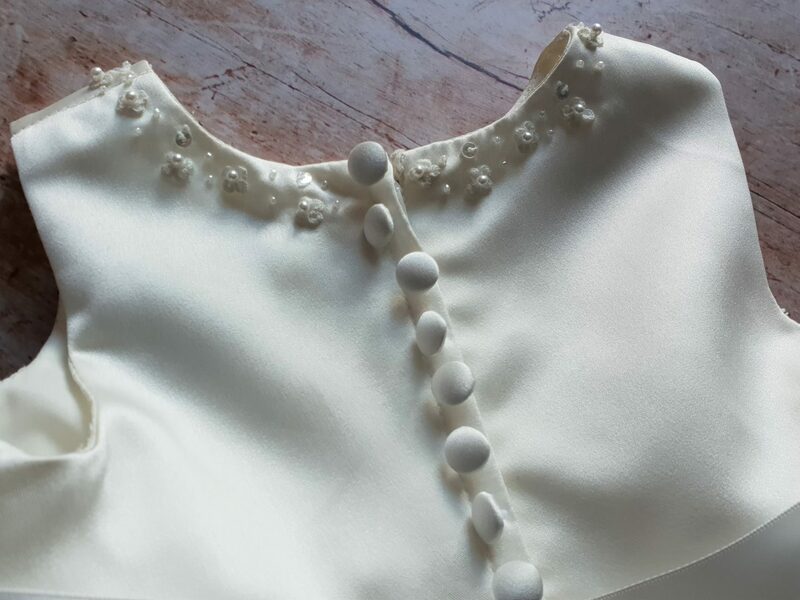 The back of the dress has a hidden zip, making it nice and easy to get a wiggly child dressed. The little buttons on the back are for decoration only – and are really cute. We were also sent Maria shoes. I adore the scalloped edge and they compliment the dress perfectly. The quality of the dress is stunning. It looks and feels very made and there has been so much attention to detail on this dress. There are layers of tulle and satin, while the top layer is organza with a lace trim. The skirt hangs beautifully and it looks very expensive. Meanwhile, the shoes are a lovely style and very shiny. 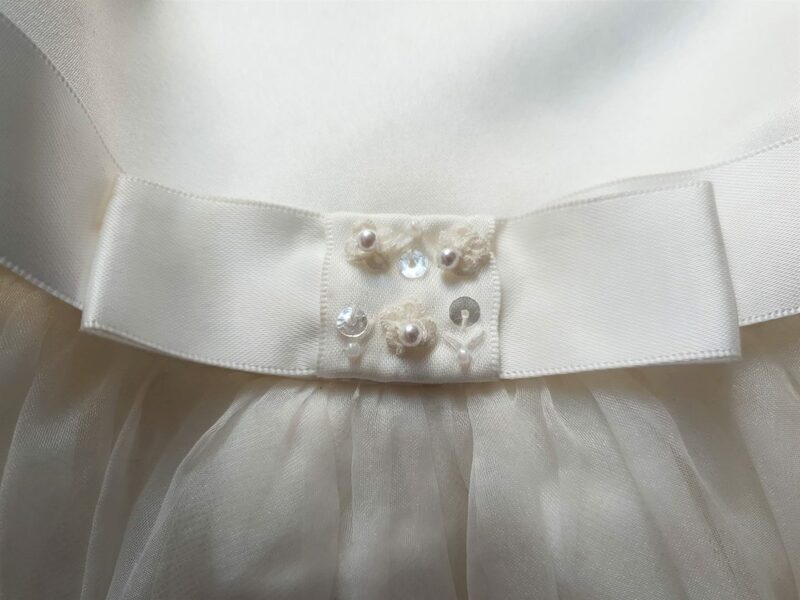 The length of the strap is good and fastens with a buckle – so no velcro snags on that pretty dress! Autumn seems very comfortable in them. 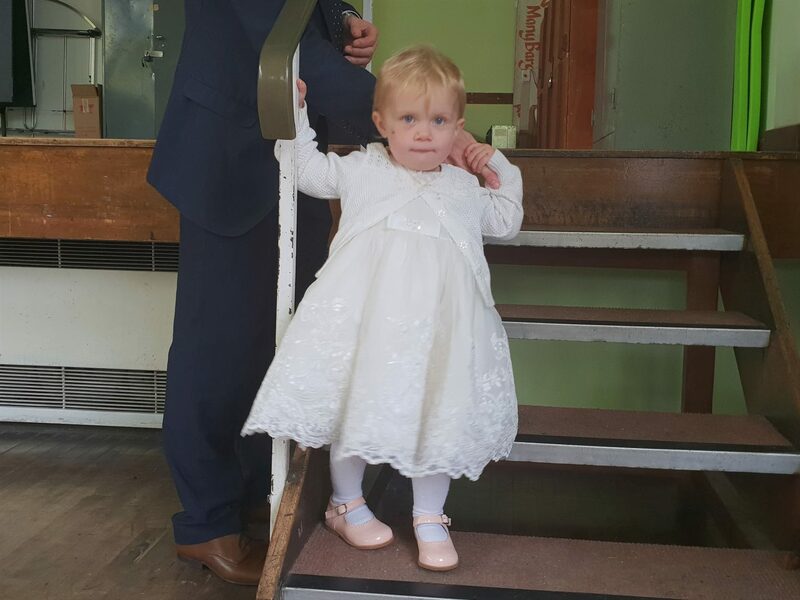 I put Autumn in this outfit for a christening very recently, where she received lots of compliments. 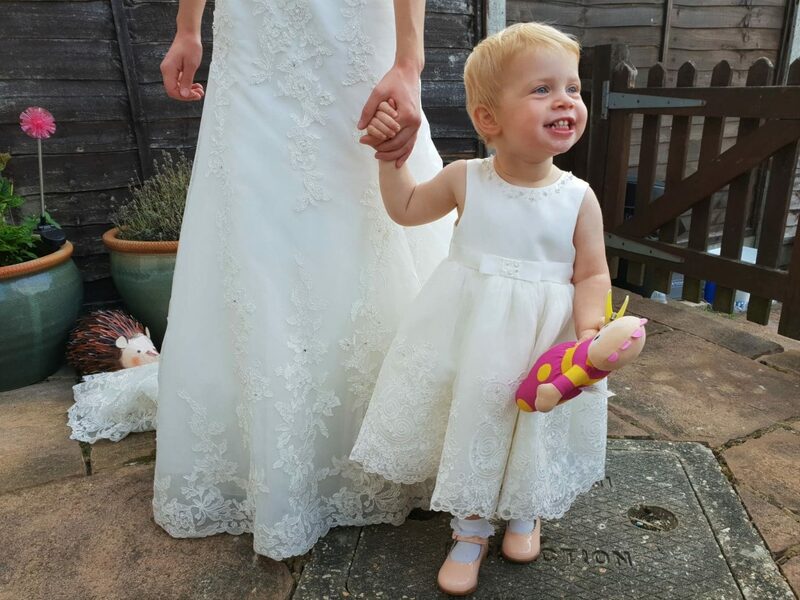 As you probably noticed above, I also couldn’t resist putting my wedding dress on to see what she’d have looked like as a flower girl. 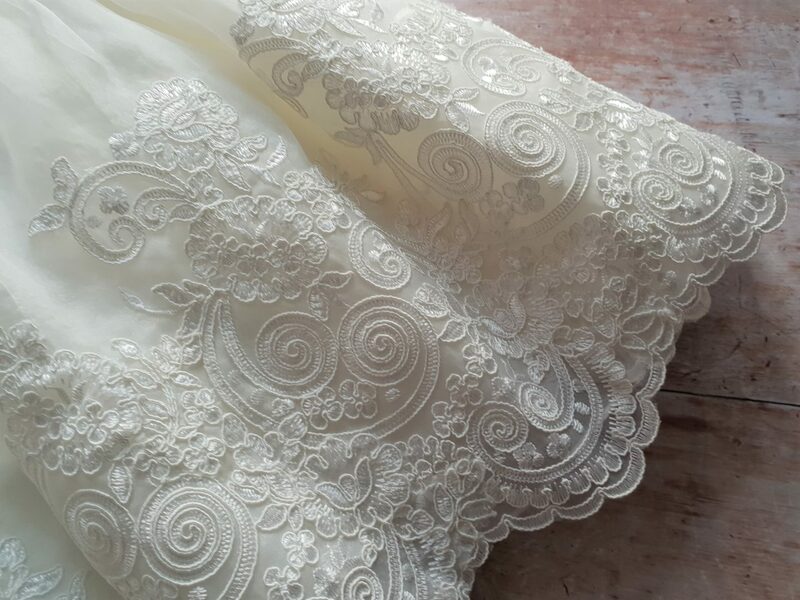 It looked wonderful with my wedding dress, which has very similar detailing on it. It would be perfect for any little bridesmaid or flower girl! We love this dress and will be getting as much wear out of it as we can before Autumn outgrows it. If you order from Roco Clothing with an event in mind, I recommend that you order in good time as delivery can be a little slow. However, the wait is worth it! Disclosure: We were sent the above dress and shoes for the purpose of this review. As always, all views and opinions are honest and my own. Mother’s Day Flowers with a creative twist!